H2R Velvet Legend – a.k.a. 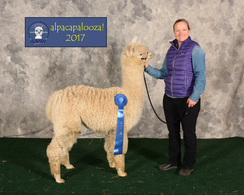 “Buggy” as he is known in to us – is the son of the legendary Snowmass Velvet Touche’ and H2R Junebug. 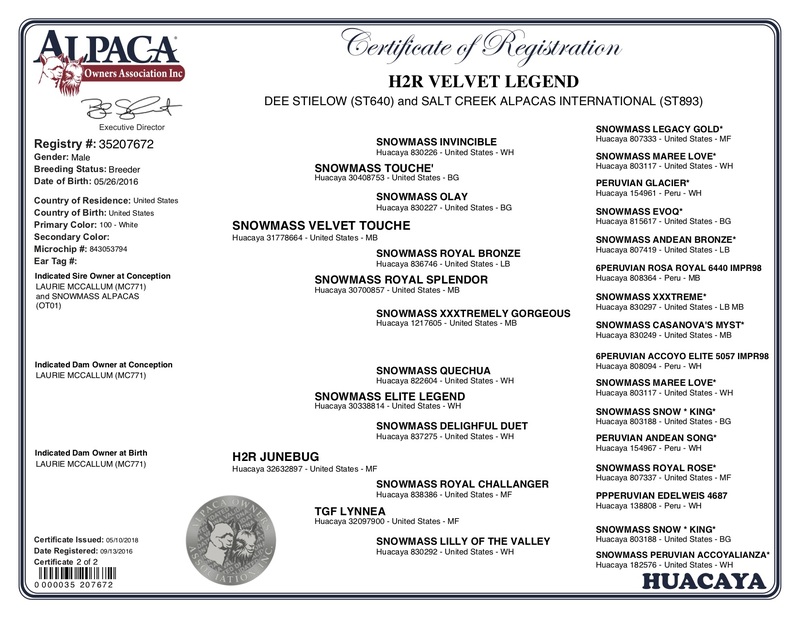 Snowmass Velvet Touche’ has his own accolades and is well known for not only being a multiple color champion at Futurity but also for putting champion offspring on the ground again and again and again. This male just stamps them out – a consistent impact male. A secret ingredient here is the impact dam – H2R Junebug. 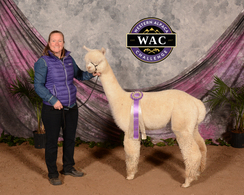 H2R Junebug is the daughter of Snowmass Elite Legend and TGF Lynnea, and she brings her own championship credentials to the table in the making of this next generation. 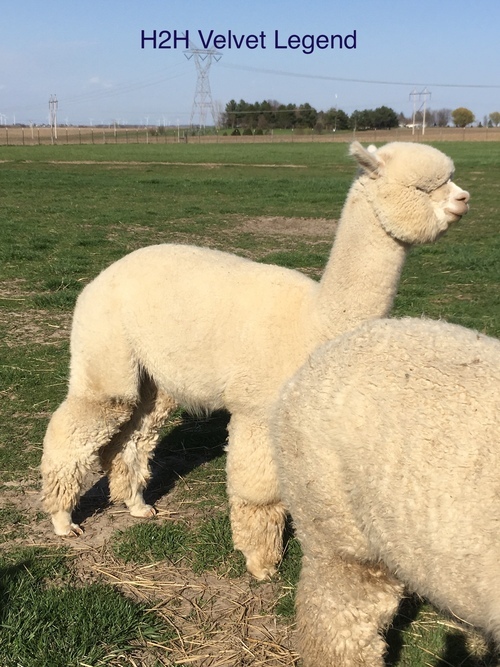 The Next Generation Alpaca has started to rise.